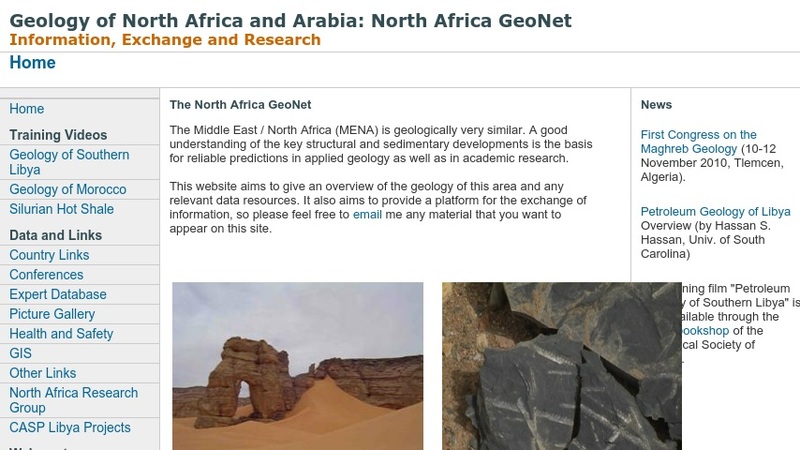 Visitors can access information about geological research and exploration in North Africa. This information can be found by clicking on an interactive map of North Africa (Morrocco, Algeria, Tunisia, Libya, and Egypt). Materials presented here consist of a message board, news articles, current and planned geological studies, an address database, a literature database, a picture database, and a collection of Geographic Information Systems (GIS) maps and datasets.